Pfaff Automotive Partners is adding two-wheelers to its growing portfolio of four-wheelers. It announced the acquisition of Davies Harley-Davidson in late September. Davies was established in 1992 by Bob and Robyn Davies, who are retiring; they’ve served riders from its 17,500 square-foot (1,600-square-metre) Richmond Hill location since 1998. Pfaff is involved in motorsport and its 15 businesses include auto dealerships that sell Volkswagen, Toyota, Audi, BMW, Porsche, McLaren, Pagani and Singer Vehicle Design. Harley-Davidson says it is looking to expand its number of Canadian dealerships in coming years, not just geographically but also demographically, to better serve riders of all backgrounds. 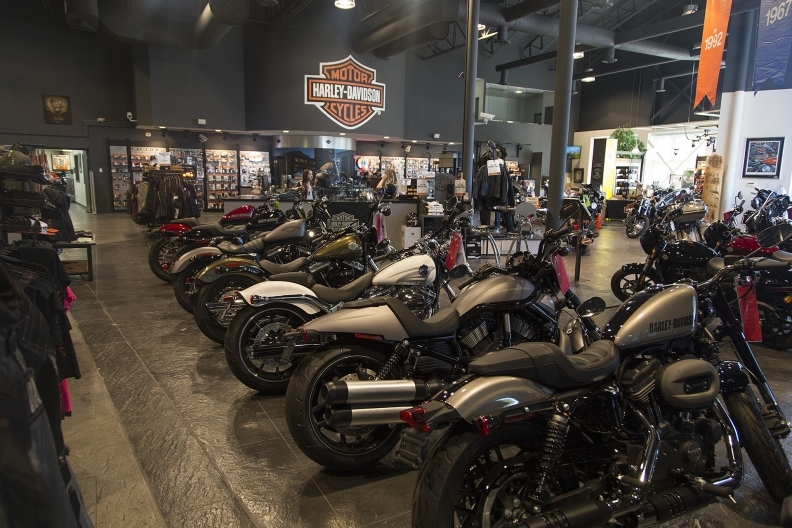 “Right now, to serve the Greater Toronto Area, we have two dealerships: one in Richmond Hill and one in Mississauga,” says Anoop Prakash, managing director of Harley-Davidson Canada.